Non Sag Tungsten is another of the materials available in a rod or bar profile. Non Sag Tungsten is a remarkably durable material making it particularly suitable for use in incandescent lamps. 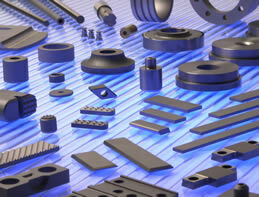 Non Sag has advantages over pure Tungsten for many applications, as it does not become as brittle at high temperatures. We can supply Non Sag Tungsten, in stock sizes, ground to an exact diameter and length as required.